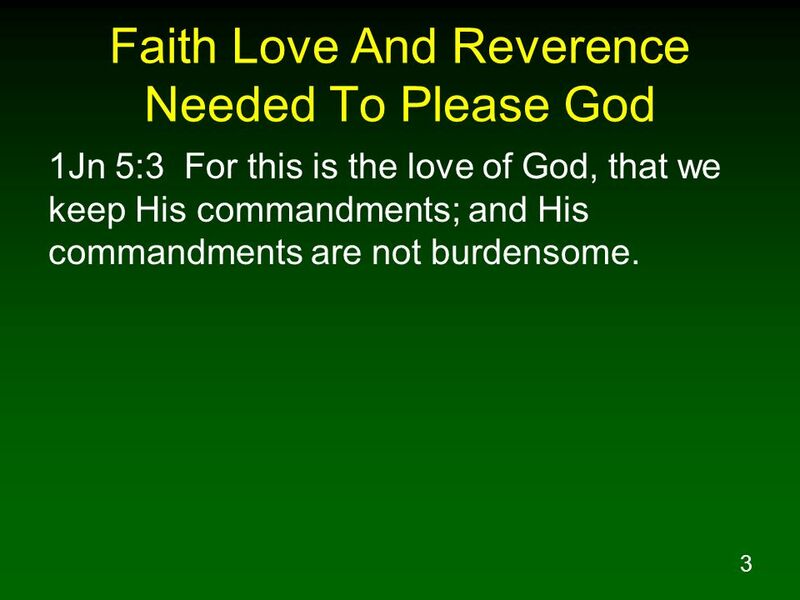 1Jn 5:3 For this is the love of God, that we keep His commandments; and His commandments are not burdensome. 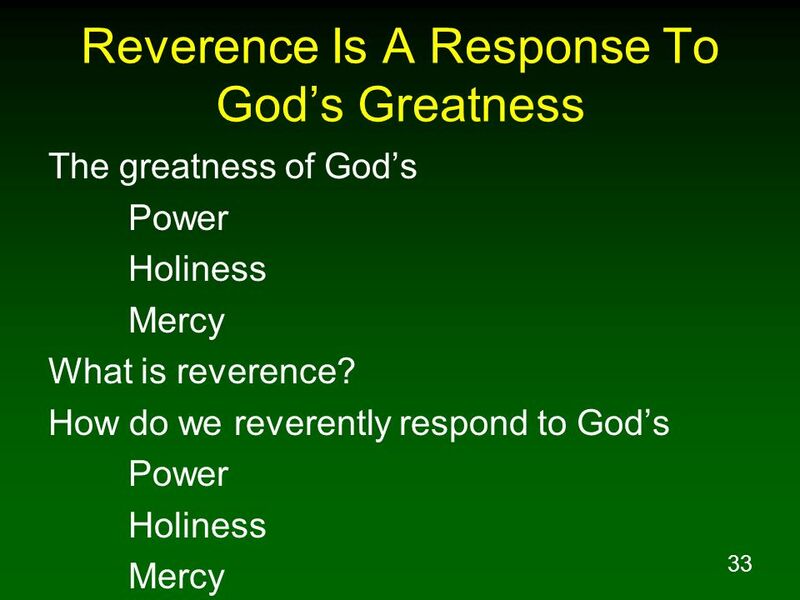 Heb 12:28 Therefore, since we receive a kingdom which cannot be shaken, let us show gratitude, by which we may offer to God an acceptable service with reverence and awe; Heb 12:29 for our God is a consuming fire. 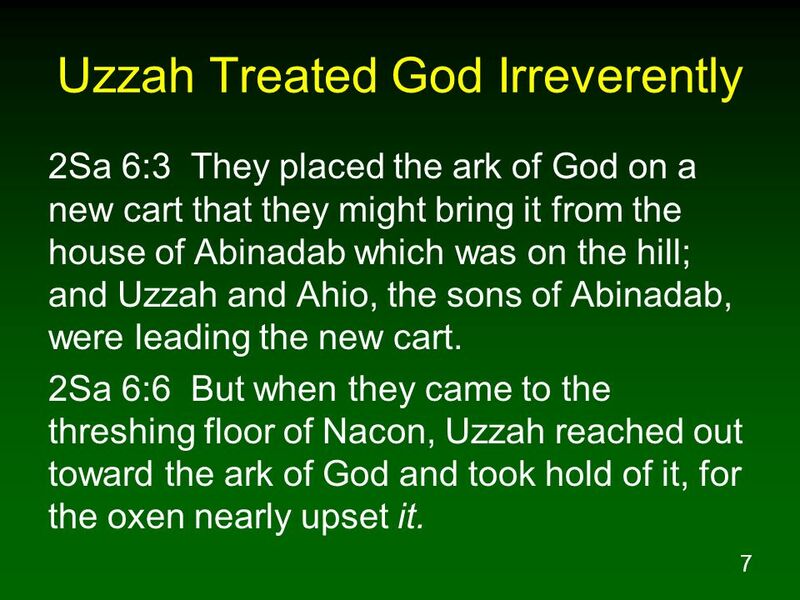 2Sa 6:3 They placed the ark of God on a new cart that they might bring it from the house of Abinadab which was on the hill; and Uzzah and Ahio, the sons of Abinadab, were leading the new cart. 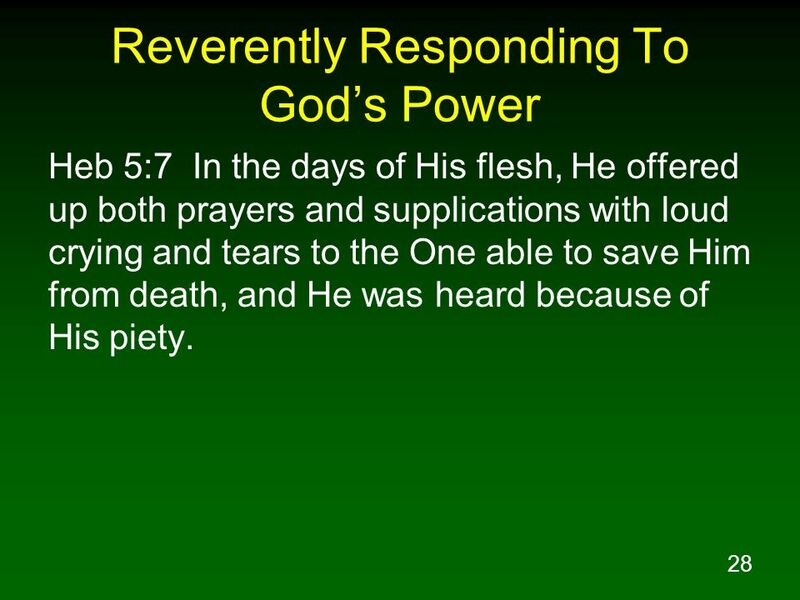 2Sa 6:6 But when they came to the threshing floor of Nacon, Uzzah reached out toward the ark of God and took hold of it, for the oxen nearly upset it. 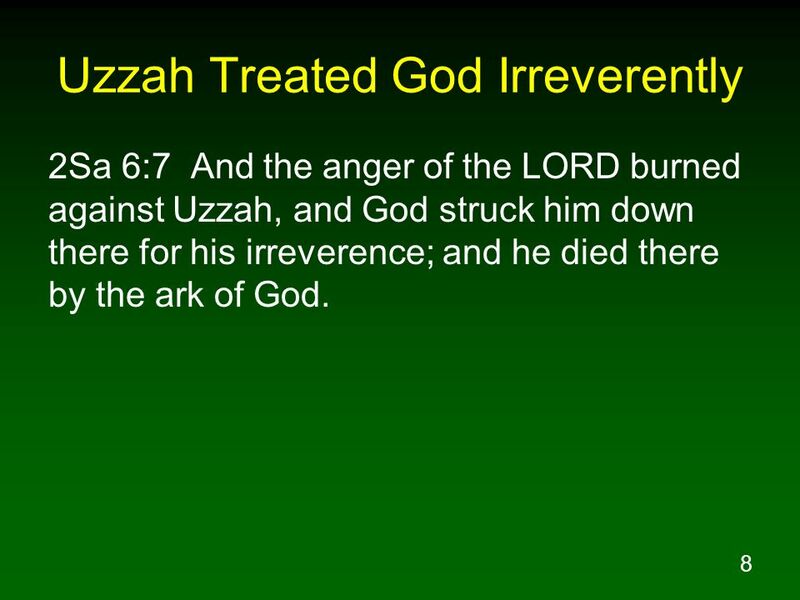 2Sa 6:7 And the anger of the LORD burned against Uzzah, and God struck him down there for his irreverence; and he died there by the ark of God. 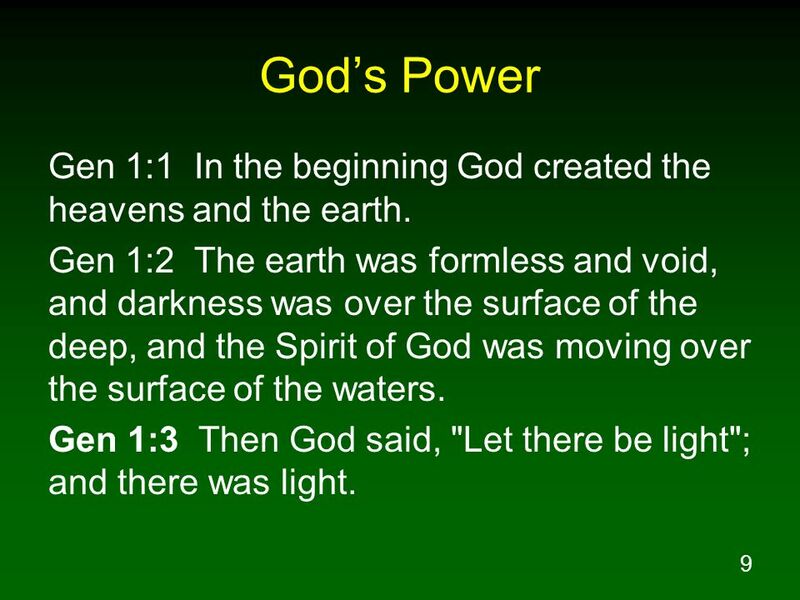 9 God’s Power Gen 1:1 In the beginning God created the heavens and the earth. Gen 1:2 The earth was formless and void, and darkness was over the surface of the deep, and the Spirit of God was moving over the surface of the waters. Gen 1:3 Then God said, "Let there be light"; and there was light. 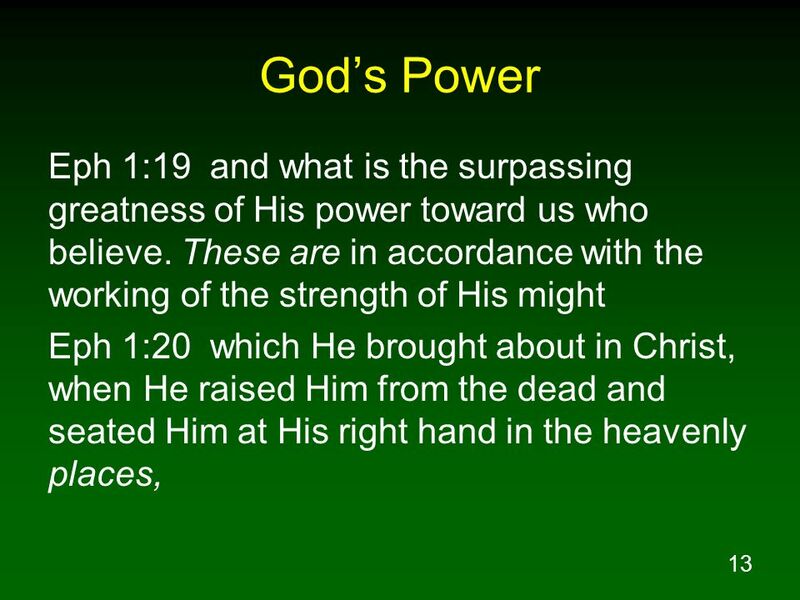 10 God’s Power Isa 40:18 To whom then will you liken God? Or what likeness will you compare with Him? 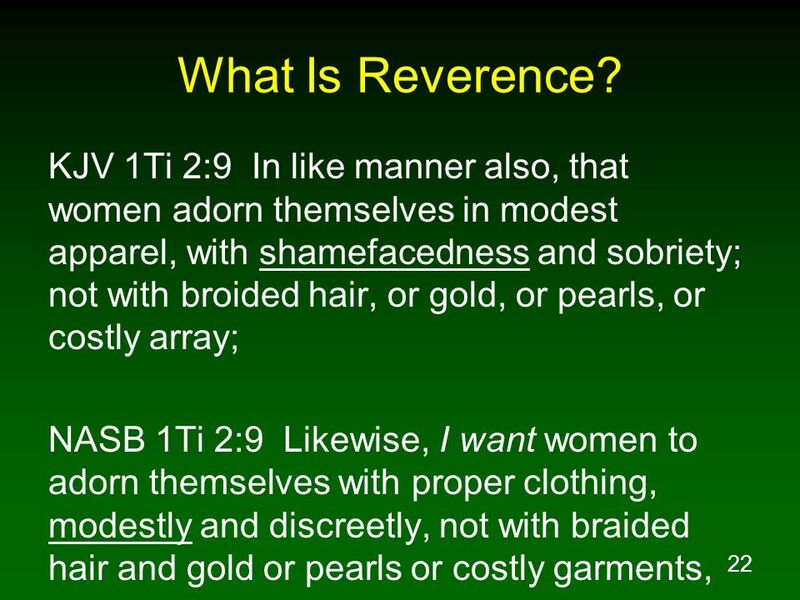 Isa 40:19 As for the idol, a craftsman casts it, A goldsmith plates it with gold, And a silversmith fashions chains of silver. 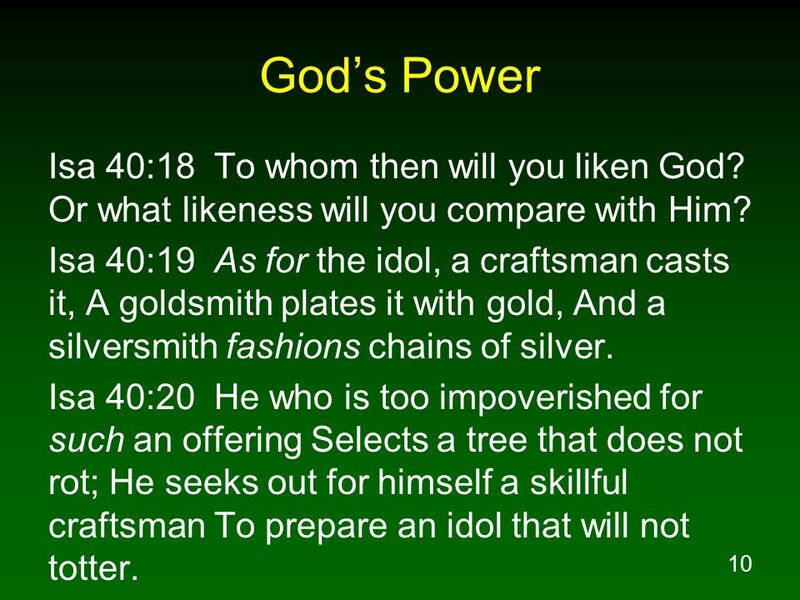 Isa 40:20 He who is too impoverished for such an offering Selects a tree that does not rot; He seeks out for himself a skillful craftsman To prepare an idol that will not totter. 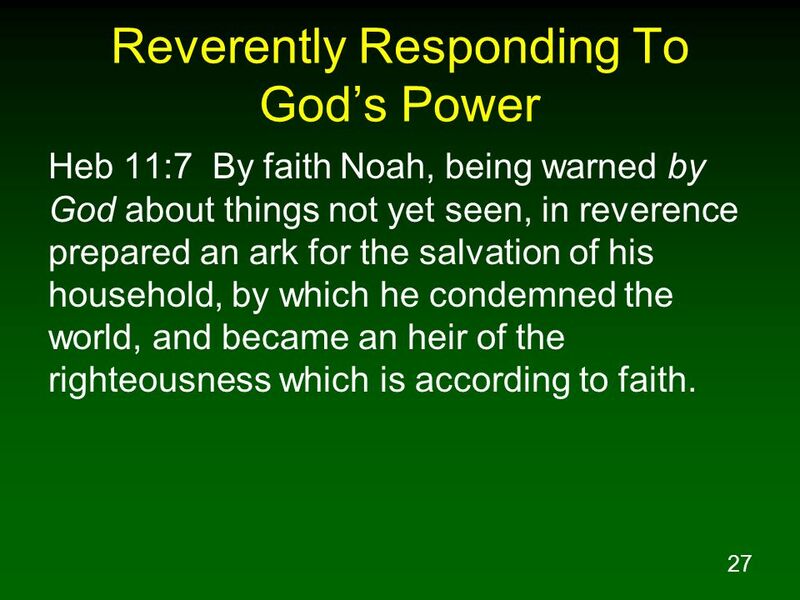 11 God’s Power Isa 40:21 Do you not know? Have you not heard? Has it not been declared to you from the beginning? Have you not understood from the foundations of the earth? 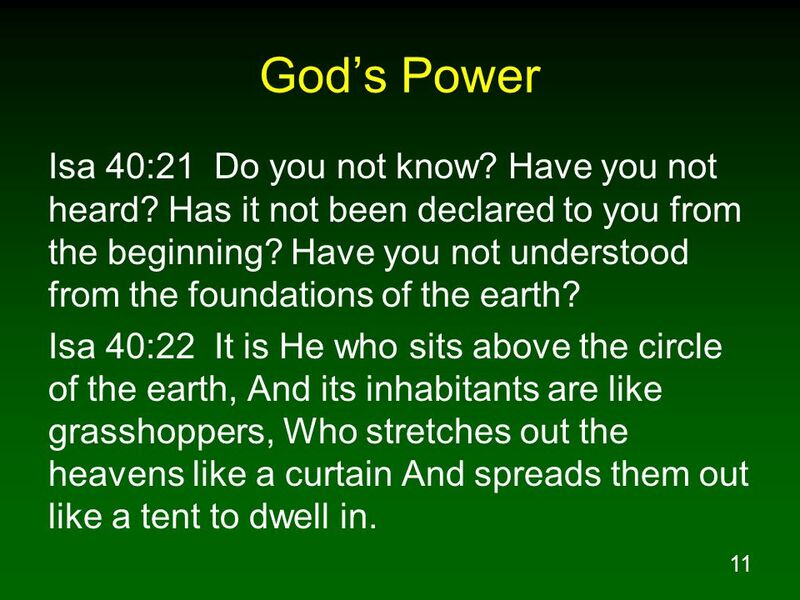 Isa 40:22 It is He who sits above the circle of the earth, And its inhabitants are like grasshoppers, Who stretches out the heavens like a curtain And spreads them out like a tent to dwell in. 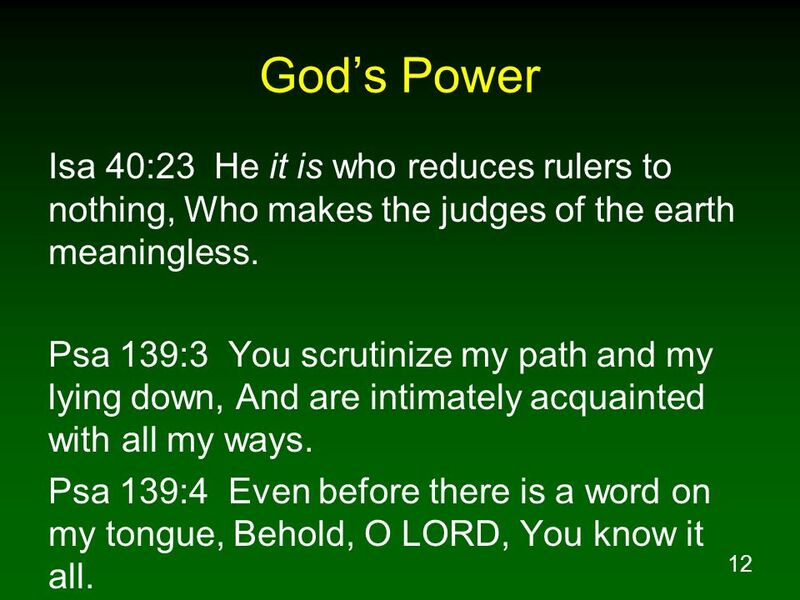 12 God’s Power Isa 40:23 He it is who reduces rulers to nothing, Who makes the judges of the earth meaningless. Psa 139:3 You scrutinize my path and my lying down, And are intimately acquainted with all my ways. Psa 139:4 Even before there is a word on my tongue, Behold, O LORD, You know it all. 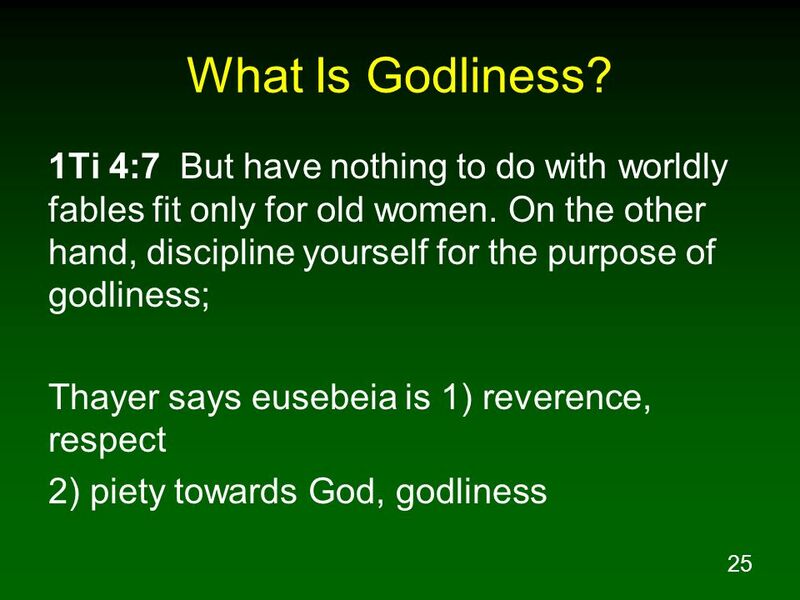 14 God’s Holiness Isa 6:1 In the year of King Uzziah's death I saw the Lord sitting on a throne, lofty and exalted, with the train of His robe filling the temple. Isa 6:2 Seraphim stood above Him, each having six wings: with two he covered his face, and with two he covered his feet, and with two he flew. 15 God’s Holiness Isa 6:3 And one called out to another and said, "Holy, Holy, Holy, is the LORD of hosts, The whole earth is full of His glory." 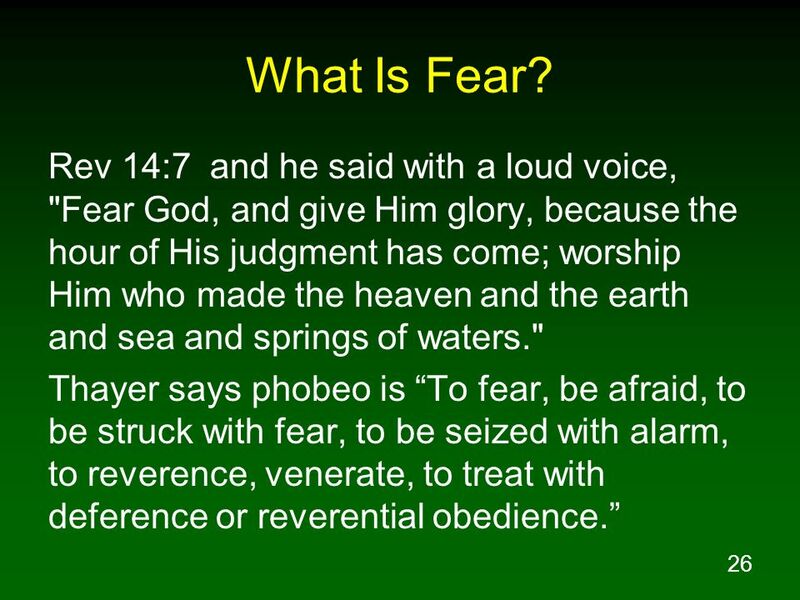 Isa 6:4 And the foundations of the thresholds trembled at the voice of him who called out, while the temple was filling with smoke. 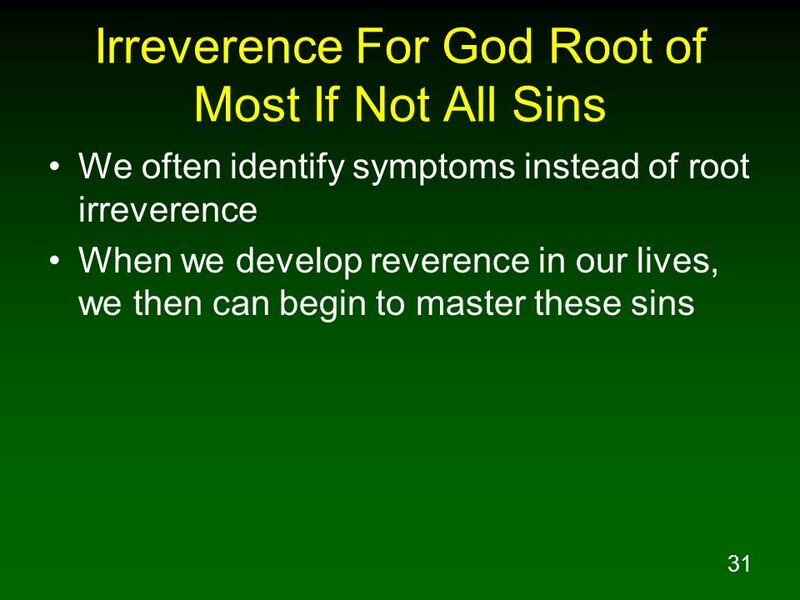 16 God’s Holiness Isa 6:5 Then I said, "Woe is me, for I am ruined! 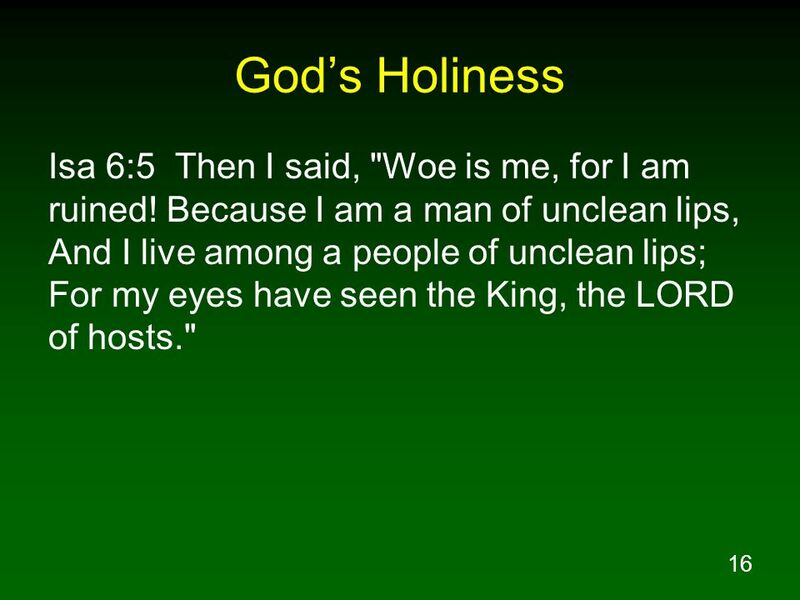 Because I am a man of unclean lips, And I live among a people of unclean lips; For my eyes have seen the King, the LORD of hosts." 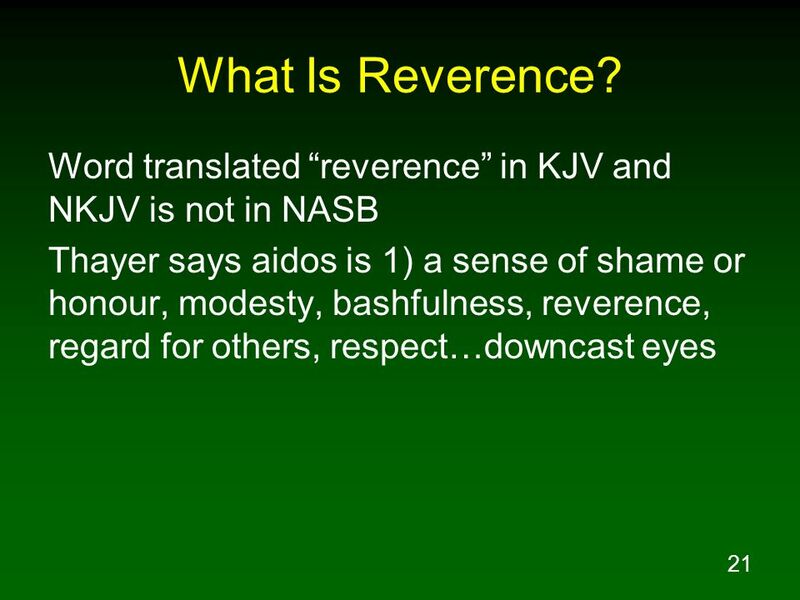 19 What Is Reverence? 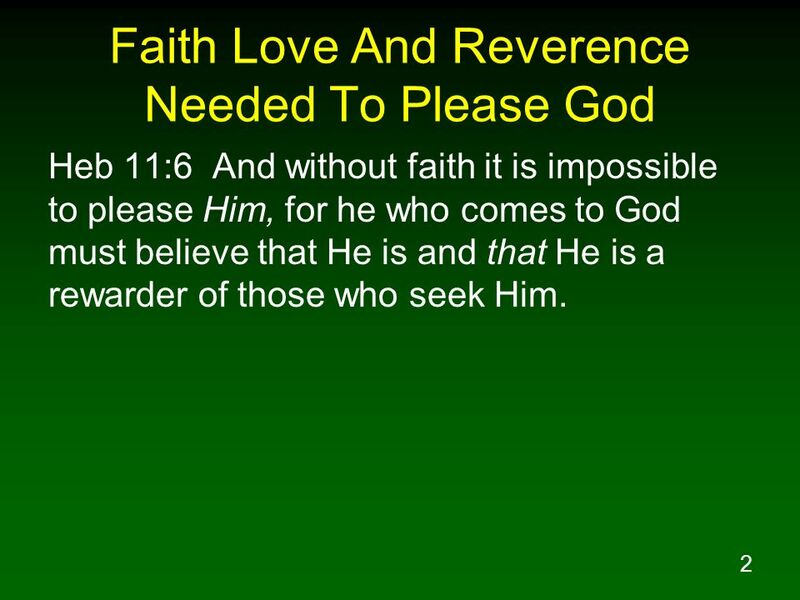 Heb 12:28 Therefore, since we receive a kingdom which cannot be shaken, let us show gratitude, by which we may offer to God an acceptable service with reverence and awe; Heb 12:29 for our God is a consuming fire. 1Pe 1:14 As obedient children, do not be conformed to the former lusts which were yours in your ignorance, 1Pe 1:15 but like the Holy One who called you, be holy yourselves also in all your behavior; 1Pe 1:16 because it is written, "YOU SHALL BE HOLY, FOR I AM HOLY." 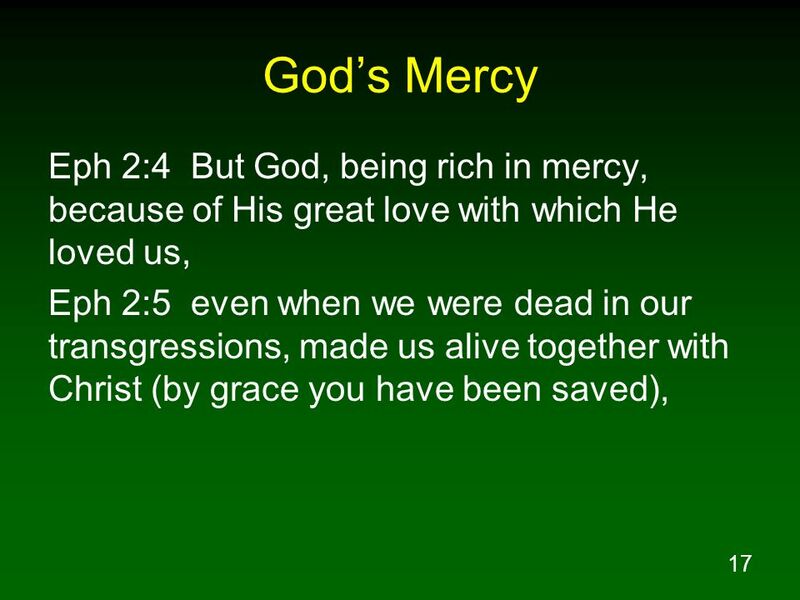 Rom 12:1 Therefore I urge you, brethren, by the mercies of God, to present your bodies a living and holy sacrifice, acceptable to God, which is your spiritual service of worship. 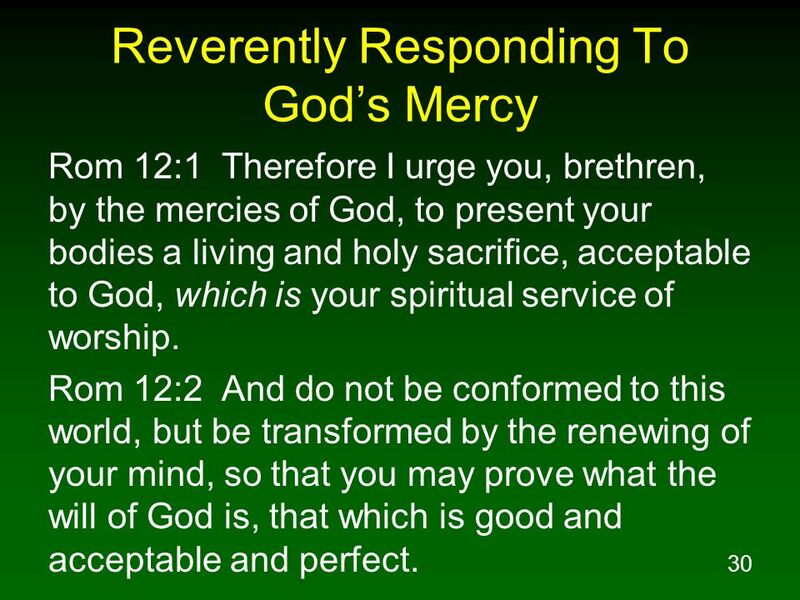 Rom 12:2 And do not be conformed to this world, but be transformed by the renewing of your mind, so that you may prove what the will of God is, that which is good and acceptable and perfect. 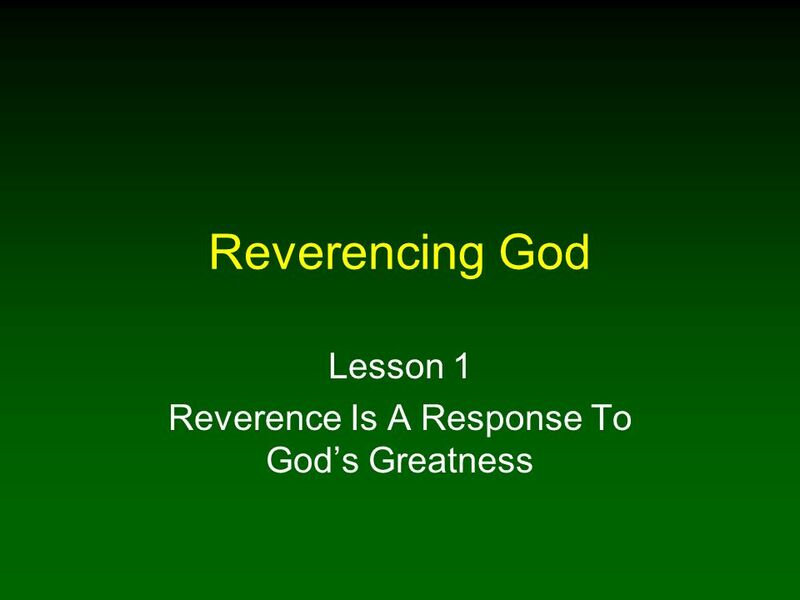 Download ppt "Lesson 1 Reverence Is A Response To God’s Greatness"
Metro Manila Christian Church GOD IS... Series. What is holy? 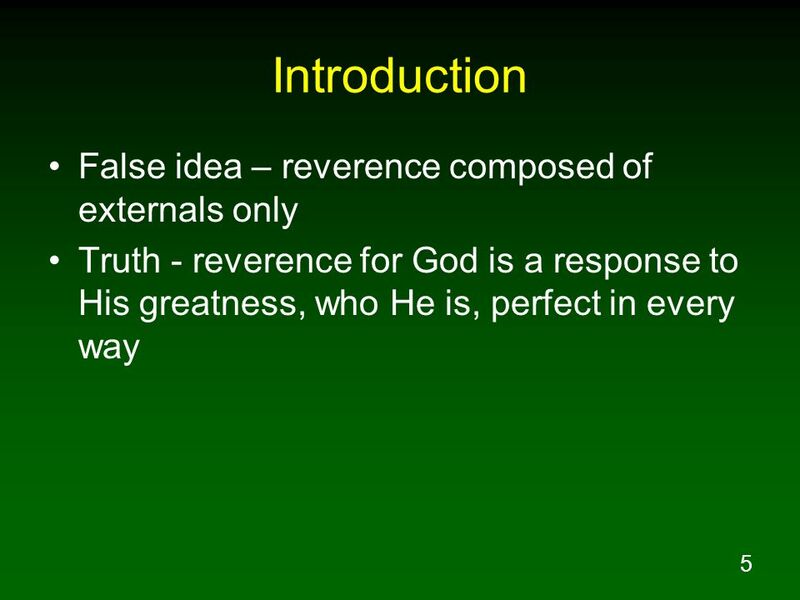 The common view of holy: pure or free from defilement In a deeper sense, from the word to. 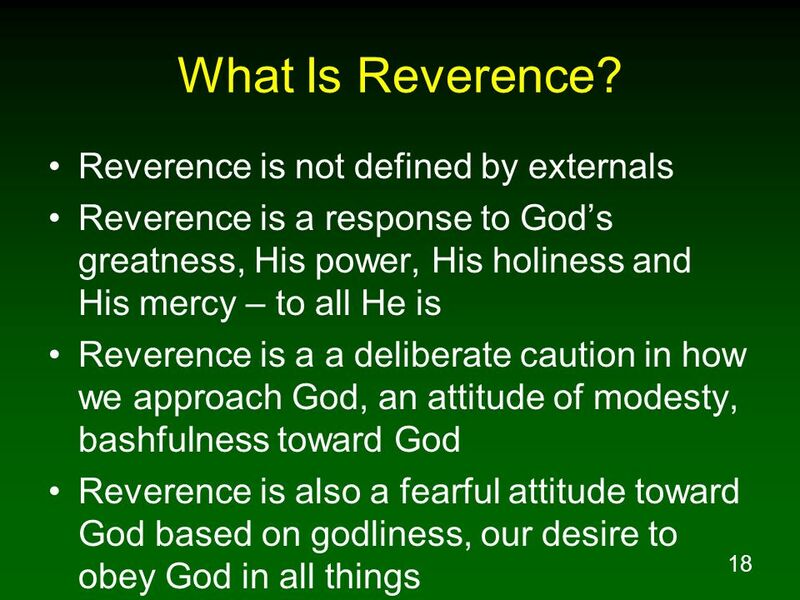 Presentation by: Gregory J. Rajala. 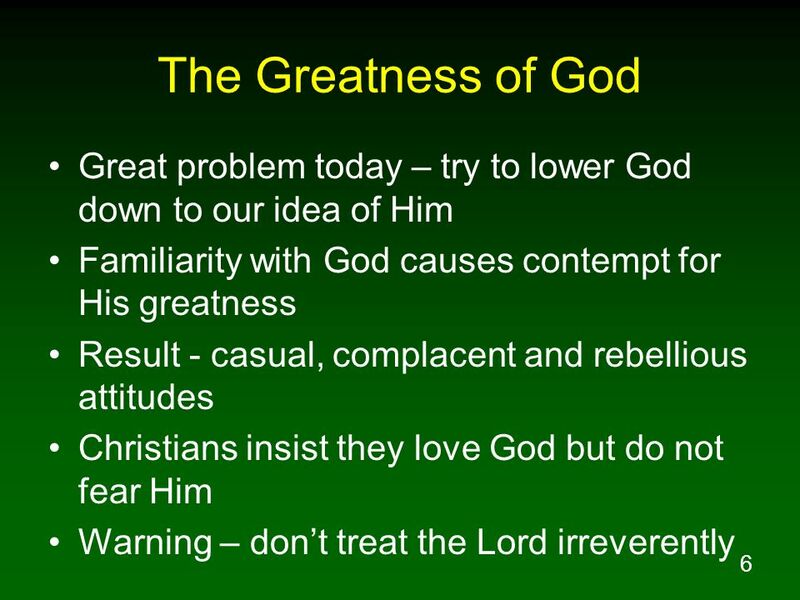 The Message Title  1Ti 1:3–5 3…command certain men not to teach false doctrines any longer… 5 The goal of this command.